Simpson Environmental Corp. (SENVC) is pleased to announce that we have entered into a global product distribution agreement with Wolverine Plastics, Inc. to distribute their ProCleanse™ Household Water Filtration product. Since 2010, over 7,500 units have been sold and distributed in over 24 countries worldwide for use in residences, schools, hospitals, orphanages, emergency measures sites as well as small villages. The units are estimated to have a product life of some ten years before the trade secreted media becomes ineffective in removing unwanted organic compounds from source water. The key attributes of this product is its simplicity, longevity and low operating costs. Based on a daily maximum production of 290 litres per day of treated water, the cost of safe water, is less than $.002 USD per gallon. SENVC has an active global market presence in pre-engineered, packaged drinking water and sewage treatment systems. These SIMPODs are targeted at remote village, mining/military/oil & gas/construction camps in third world regions. A recent example is the B2 Gold mining camp in Mali, West Africa. 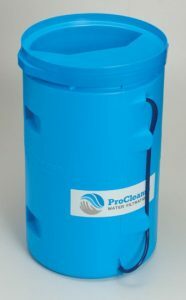 The ProCleanse™ will complement our SIMPOD program whereby current and future customers can provide safe drinking water for their employees in these regions via this unique, low cost, robust product. 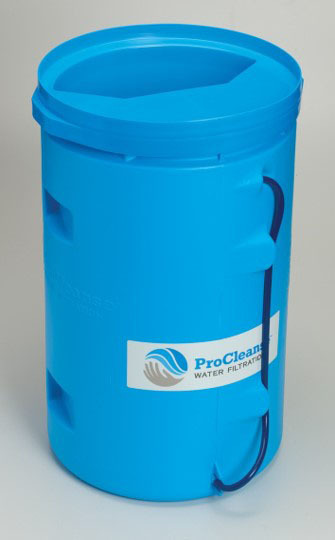 The ProCleanse™product is also ideal for the aboriginal/First Nations markets in North and South America where safe drinking water is often a major health and social problem. SENVC plans to work with Federal, Provincial and First Nations organizations to make this product available in remote regions of Canada, the USA and Latin America. Lastly, the device is ideal to be used for disaster relief. SEVNC will work with Government and emergency measures organizations to provide site-ready supplies of ProCleanse™ units that can be dispatched with very short notice to various parts of the globe in the event of natural disasters that disrupt local water treatment infrastructure. For further information regarding the ProCleanse™ product, please direct inquiries directly to James H.A. Simpson, Vice President, Business Development via email at jsimpson@senvc.com or via phone at 905-332-7669 ext 112.